Half cents were always poor relations within the United States Mint's family of coins, and the Draped Bust Liberty first used for silver dollars in 1795 wasn't adapted for the half cent until 1800. Even so, the coinage of this denomination was fairly regular over the next several years. 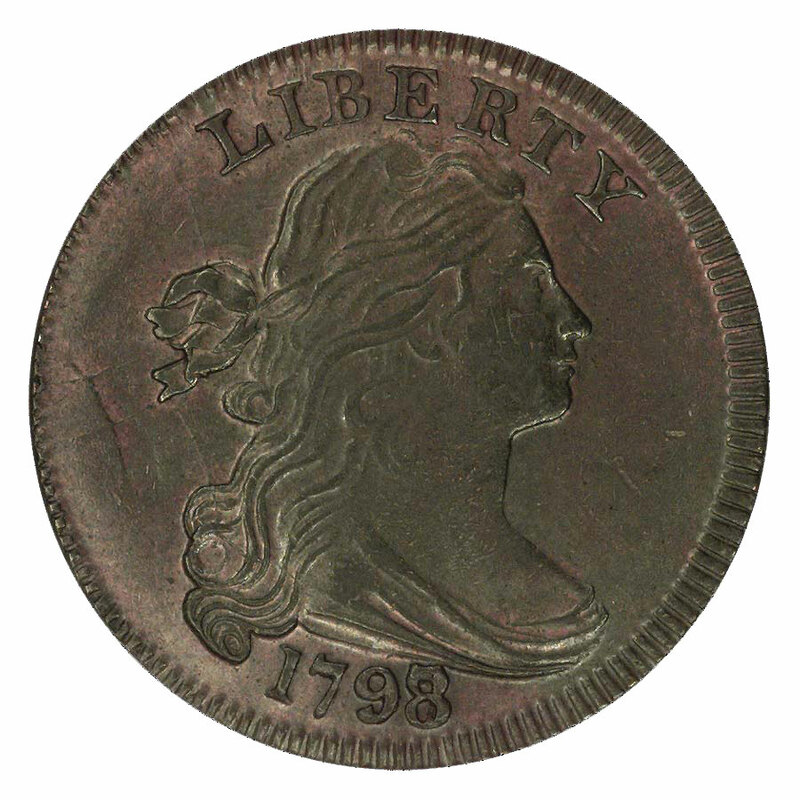 Examples were coined of every date except 1801, until the Draped Bust type was replaced by the Classic Head type in 1809 (a subtle change was made in this coin's reverse beginning in 1802, bringing it into conformity with the cents issued since 1796). As with all early United States coins, grading this series can be a real challenge. The consistency evident in today's coins was impossible to achieve with the primitive equipment used in the first decades of the 19th century. As a result, even mint state examples of the Draped Bust half cent are apt to be poorly centered and weakly struck in places. This coin type is one instance in which mint state examples often are easier to grade than circulated pieces. The irregularity of strike for these coins makes it difficult to establish how much loss of detail on a circulated coin is due to wear and how much is the result of poor strike or worn dies. The book The Official American Numismatic Association Grading Standards for United States Coins provides a good starting point for grading, but remember that these guidelines apply to well-struck coins. Poorly detailed or irregularly worn pieces require some modification to the published standards. The book does address known peculiarities for particular varieties. For instance, 1802 half cents with the first style reverse exhibit weakly struck reverses. 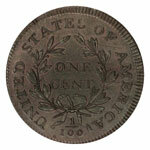 In another example, the book reports that half cents of 1807 are "usually weak at the borders with no obverse dentils showing." These characteristics can be applied to a number of varieties, particularly those dated toward the end of the series. So few Draped Bust half cents have distinct border dentils that this feature is disregarded when grading such coins. Planchet quality is an important element in grading half cents. At NGC one of the more common reasons for rejecting half cents and other early copper coins for certification is evidence of porosity in the planchets. This porosity can be the result of corrosion subsequent to striking, or it may be that the coin was actually struck from a defective planchet. Some allowance is made for dates that are notoriously poorly made, such as 1802, but if porosity is severe enough to diminish a coin's market value it can be cause for rejection. Perhaps the worst form of corrosion is verdigris, a green encrustation often seen on old coins made of copper. While in some instances valued by collectors of ancient coins for its occasionally attractive patina, verdigris is shunned by those collecting modern coins as simple corrosion, and grading services will not certify such coins. Mint state half cents can take on a wide variety of natural colors, since their metal was often riddled with impurities. Half cents displaying original, mint red color are quite scarce, though a number of 1806 hoard pieces have much of their red color intact, albeit with some spotting. Most half cents of this vintage are a reddish brown, light brown (or tan), medium or chocolate brown, or a dark, grayish brown. Still others may have a delightful bluish tint from the interaction of copper and atmospheric sulfur. Occasionally, emerald green pieces appear and are highly prized, though there is an important distinction between such toning and the verdigris mentioned earlier. NGC grades mint state half cents numerically using a "BN" suffix to denote a predominately brown color; "RB" to identify blended red and brown; or "RD" for coins that retain all or nearly all their original red color.